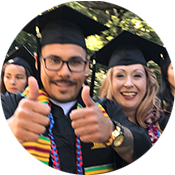 Tuition fee waivers (commonly referred to as BOG-Board of Governor's Fee Waivers) are available at California Community Colleges for qualifying students who are California residents. 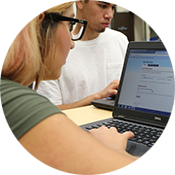 Qualifying applicants (and parents, if applicant is dependent) are currently receiving TANF (Temporary Assistance for Needy Families), SS (Supplemental Security Income) or General Assistance/General Relief through the county social services department. If you believe you may qualify for BOG A, please complete the BOG Application and submit proof of current assistance (e.g. - Notice of Action). Qualifying applicants (and parents, if applicant is dependent) do not exceed the following income standards, according to household size. These standards are based upon the federal poverty guidelines as published each year by the US Department of Health and Human Services. Under Title 5 of the California Code of Regulations, the income standards for the BOG program equal 150% of the federal poverty guidelines for the base year. If you believe you may qualify for BOG B, please complete the BOG Application.